From the moment they met in elementary school their fates were tied! 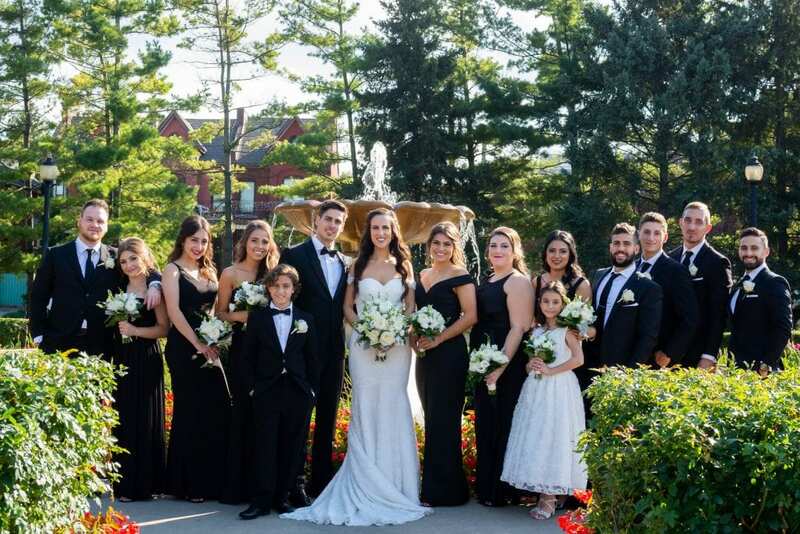 So, it was only fitting that their wedding be celebrated in a historical venue, revisiting childhood memories while surrounded by the love of their family and friends. 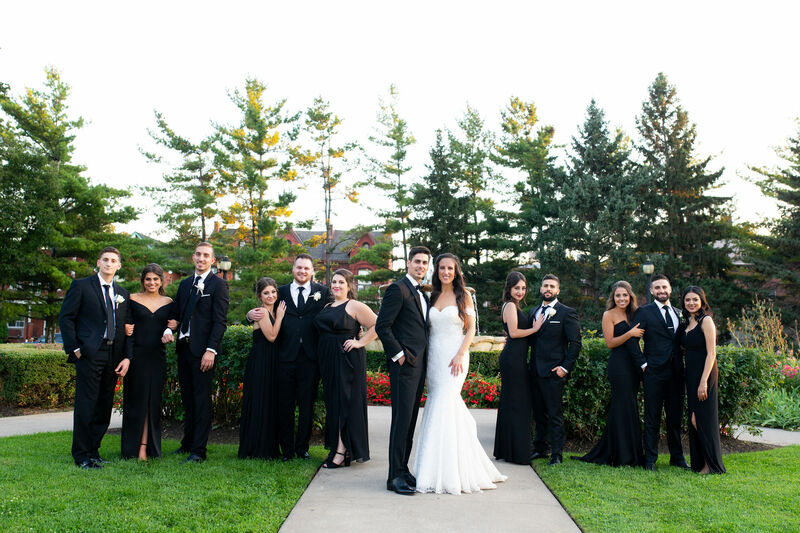 We spoke with Alexandria and Christopher about their décor inspiration, how LIUNA’s antipasto bar is a MUST and about their dedicated wedding coordinator! What made you choose LIUNA Station? When you think of luxury and elegance in terms of venues in Hamilton, you automatically think of LIUNA Station. 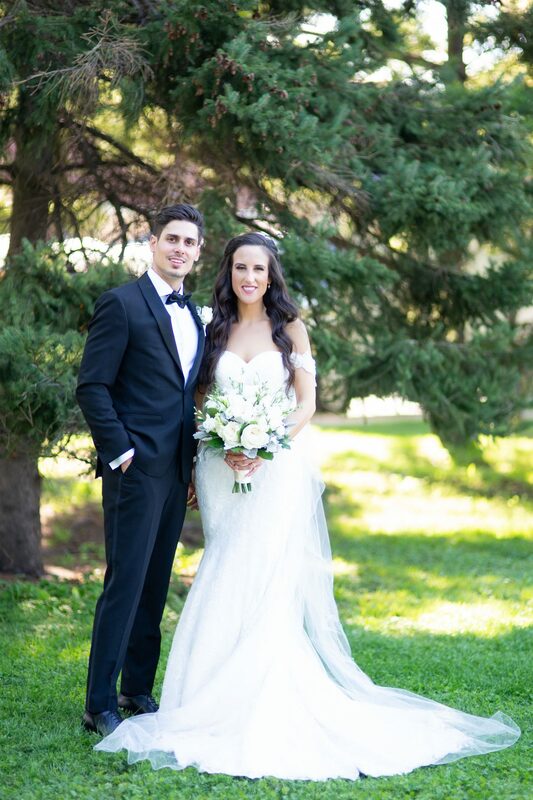 My husband and I did not attend or consult with any other venue; being from Hamilton and proud Hamiltonians, we were positive that we wanted to celebrate our marriage at the Station! 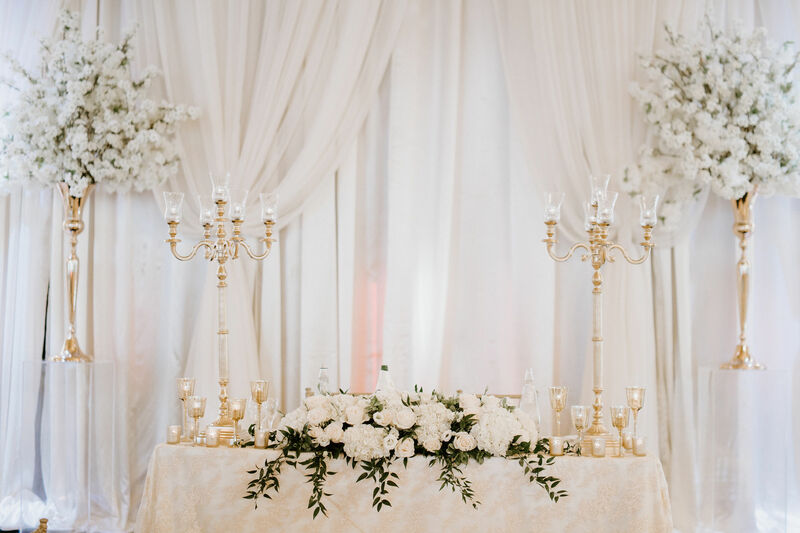 From the food, to the service, to the timeless décor, it was the obvious choice. What ballroom did you use? And why? Our reception was held in the Grand Ballroom which, in our minds, is iconic. It was also able to accommodate our 320-person guest list, which worked out perfectly for us. How did you develop the theme for you big day? A lot of people asked me this question, and I never truly had an answer because I did not have a “theme” per se. I knew I wanted to incorporate a lot of ivories with gold accents for a more classic look. 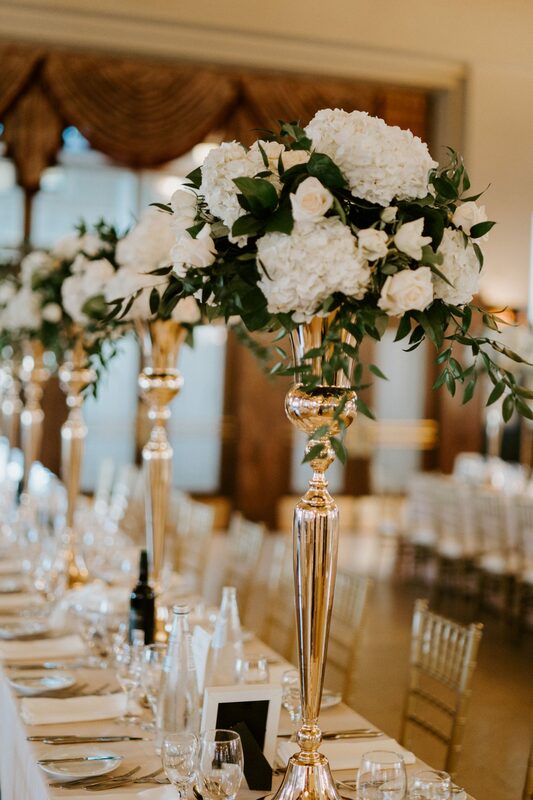 I derived a lot of my inspiration for the flowers and décor from Amal and George Clooney’s wedding photos! If you could choose only one item from your wedding décor what would it be? Our beautiful flower centrepieces! My florist, Roxy Zapala from Art of Celebrations did an excellent job executing my vision for those flowers. It’d be impossible to pick one part; the entire day was a dream. Being able to celebrate with our closest family and friends all in one room was an amazing feeling. Did you customize your menu or was it pre-designed? Did you have any dietary restrictions and if so, how was it building a menu around them? We selected a pre-designed menu and added a few requests. 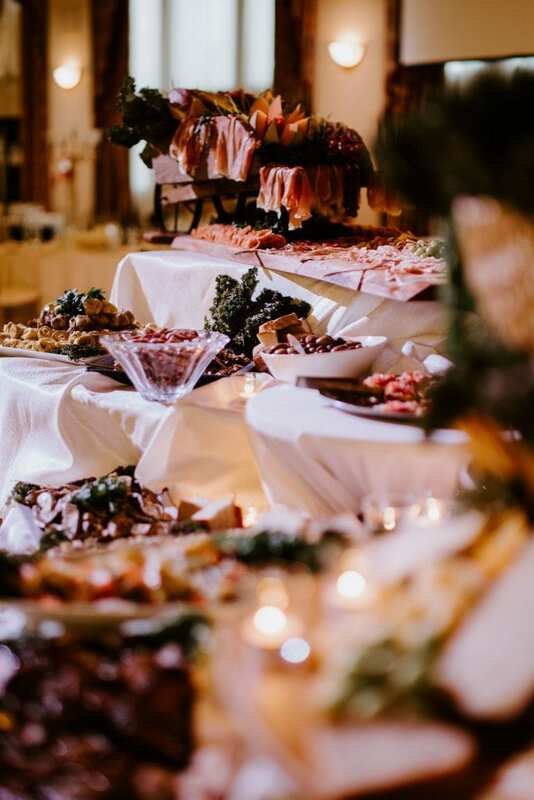 The LIUNA Station Antipasto Bar is an absolute must; no one else around can beat it. We requested a full parmigiano wheel for our bar, and Nicole from LIUNA delivered. We received so many compliments on the antipasto alone. 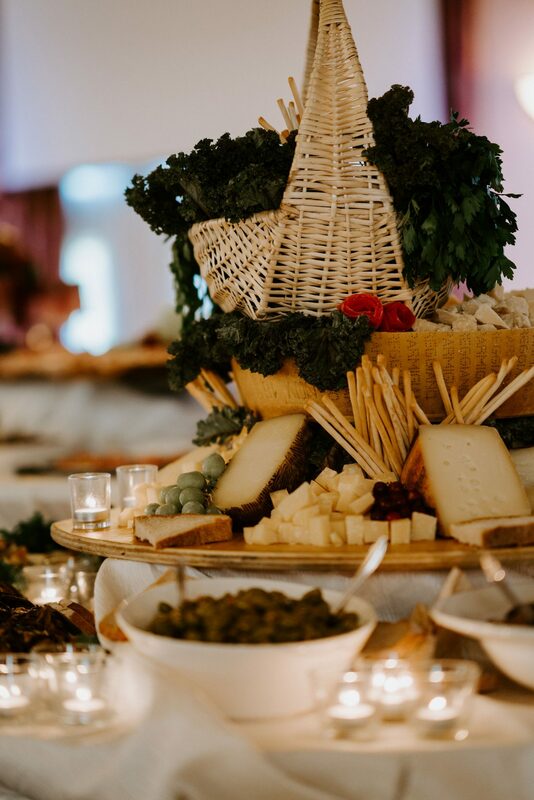 We also had minor dietary restrictions for some guests that our wedding coordinator, Kate from Westview Events, ensured were met throughout the night. Naturally, there were no problems. How was working with the vendors? We experienced the utmost quality of service from our vendors. Everyone was excellent in communicating with us throughout the whole process and I was so thankful for that. 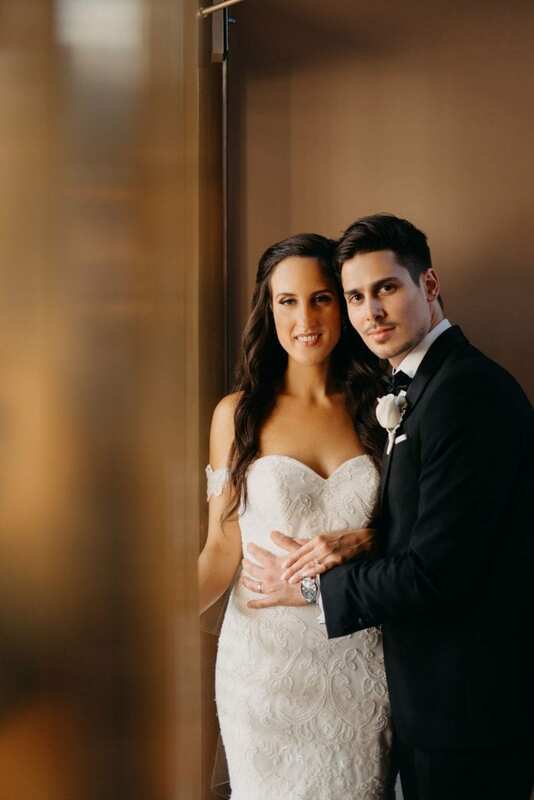 Did you have any special requirements regarding your wedding? My husband and I met when were in Grade 1 at St. Francis Xavier Catholic Elementary School. Coincidentally, I invited him to my 7th birthday party and there is very cute footage my dad shot of him and I opening my birthday presents (I think he had a crush on me then). My mom had the great idea of incorporating an edited version of this video into our speech, which we did, and it was shown on the big screens in the Grand Ballroom. It was such a great part of the night and I’m so glad that LIUNA was able to accommodate this. What were your guests’ reactions to your wedding? We received so many compliments on the décor, food, and service. Many guests told us that when you first walked in, it was like walking through a forest. We were so glad we were able to host a beautiful event for our family and friends. What was most surprising about planning your wedding? The most surprising part about planning our wedding was how helpful a wedding planner could be. My husband and I have demanding careers with long hours, so we found the investment to be worth every penny. To have someone manage communication, administration and minor details was invaluable, especially because I would not want to put that burden on any one of my guests – especially my mom! One piece of advice you would give another bride planning with LIUNA? Just in case I wasn’t clear enough, the antipasto bar is well worth it! 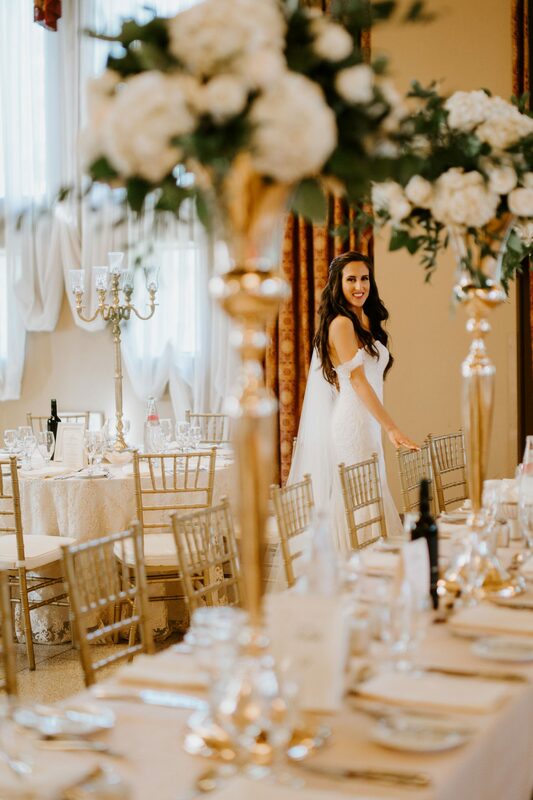 In all seriousness, the staff at LIUNA Station is exceptional and give you the tools to execute a once in a lifetime vision.